LOS ANGELES, CA – Ann Philbin, director of the Hammer Museum, has announced the appointment of Brooke Hodge, effective July 19, as the Hammer’s director of exhibition management and publications. In her new role at the Hammer, Hodge will provide management and guidance to the curatorial department, including assuming oversight of projects and administrative responsibility for the department's staff and budget. Hodge will help to oversee the Museum's ever growing exhibitions, programs and publications. Hodge will continue to write “Seeing Things,” an ongoing column for The Moment, The New York Times T Magazine blog. She has also recently contributed to The Los Angeles Times Magazine and Wallpaper. 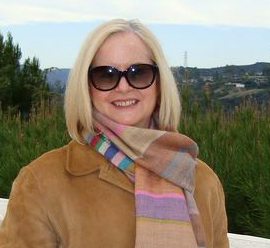 Brooke Hodge has organized several exhibitions and has written extensively about design, architecture, art, and fashion. From 2001 to 2009, she was curator of architecture and design at The Museum of Contemporary Art in Los Angeles, where she organized major exhibitions on the work of architect Frank Gehry and car designer J Mays, as well as Skin + Bones: Parallel Practices in Fashion and Architecture, a groundbreaking thematic exhibition that examined the relationship between contemporary fashion and architecture. From 1991-2001, Hodge was director of exhibitions and publications at Harvard University’s Graduate School of Design, where she also held the positions of adjunct curator of architecture at the Fogg Art Museum and assistant dean of arts programs at the Graduate School of Design. At Harvard, she organized numerous exhibitions of the work of architects and designers, including Gio Ponti, Zaha Hadid, theater designer and artist Robert Wilson, and fashion designer Rei Kawakubo/Comme des Garçons, among others. She holds a master’s degree in architectural history from the University of Virginia. At the Hammer, Hodge will work closely with Cynthia Burlingham, deputy director of collections and director of the Grunwald Center for the Graphic Arts; Douglas Fogle, chief curator and deputy director of exhibitions and public programs; Anne Ellegood, senior curator; curators Ali Subotnick and Allegra Pesenti; and adjunct curator Russell Ferguson.